These 100% kevlar shock cords are about as good as it gets! 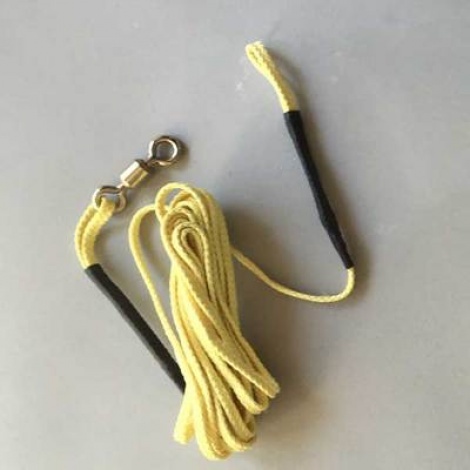 The loops are sewn at both ends with High Performance Kevlar thread then further protected and strengthened with a high heat protective shielding. The shielding protects the loop/thread and also prevents fraying of the ends. Comes standard with a 270kg (600 lb) swivel at one end.